We were joined by UK business leaders in London last night to launch the National Literacy Forum’s Vision for Literacy Business Pledge 2018. 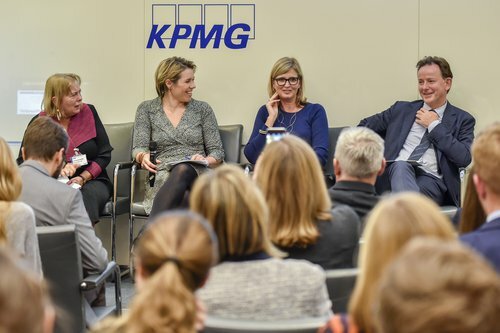 At the event, organisations including KPMG, Costa, PwC, Penguin Random House and the Premier League pledged their support to tackling literacy challenges in their workforce, the local communities they work in and on a national level. Our Director, Jonathan Douglas, opened the event by sharing the successes of the Pledge to date. Since it was first launched in 2015, 67% of businesses have reported improved employee engagement and 50% have reported a rise in employee morale and motivation. Next year the pledge will focus on closing the early years attainment gap to give all children the best possible start in life – a theme that has been endorsed by the Secretary of State for Education. 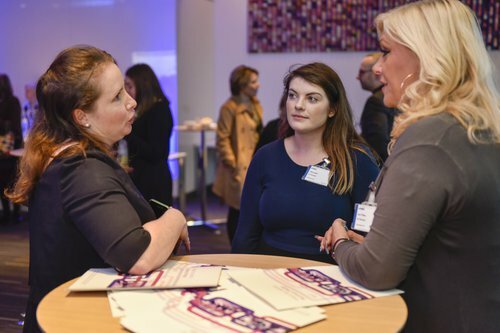 Libby Volke from Penguin Random House then spoke about how her employer's commitment to the Vision for Literacy Business Pledge in 2017 meant she was able to take part in an amazing volunteering experience on our Early Words Together programme. She explained how the six weekly sessions with parents and their children made her feel revitalised and proud that her employer was affording her the opportunity to take part in something so profoundly meaningful during her work day. To conclude the event, our enigmatic chair of Trustees, Dame Julia Cleverdon DCVO CBE, oversaw a lively panel discussion with business leaders from the Premier League (William Bush, Executive Director), KPMG UK (Rachel Hopcroft, Head of Corporate Affairs) and Penguin General (Joanna Prior, Managing Director). 54 businesses have already signed-up to the Vision for Literacy Business Pledge 2018, and our Director is extending the call to all UK businesses. Find out more about how your business can sign-up to the Vision for Literacy Business Pledge 2018.